Cart abandonment is a major problem in ecommerce. 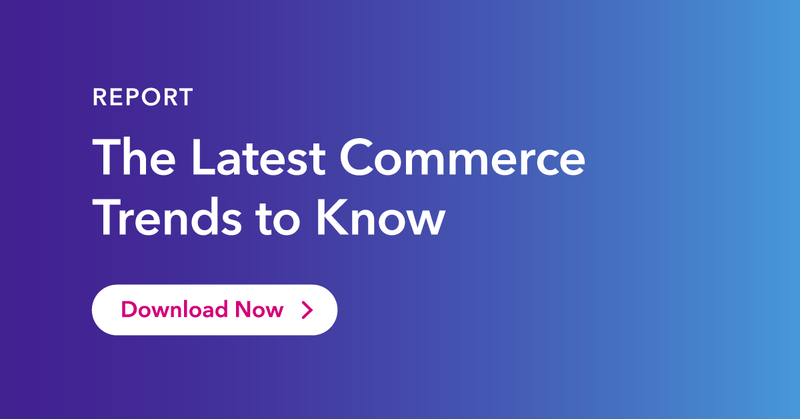 According to a bespoke study we carried out in July, more than three-quarters of internet users in the UK and U.S. had added items to their online shopping cart in the previous month, but didn’t complete the purchase. In both markets, at least 15% of these abandoned carts contained goods worth over £100 or $100. This is a huge source of potential revenue that retailers are missing out on, but, thanks to our data, we’re able to shed a light on why it happens, and what can be done about it. Flexible delivery options are crucial to consumers. So how can retailers convert these abandoned carts into returns? Free delivery is consistently highlighted as the most important purchase driver by our respondents, and this bespoke study echoes that. 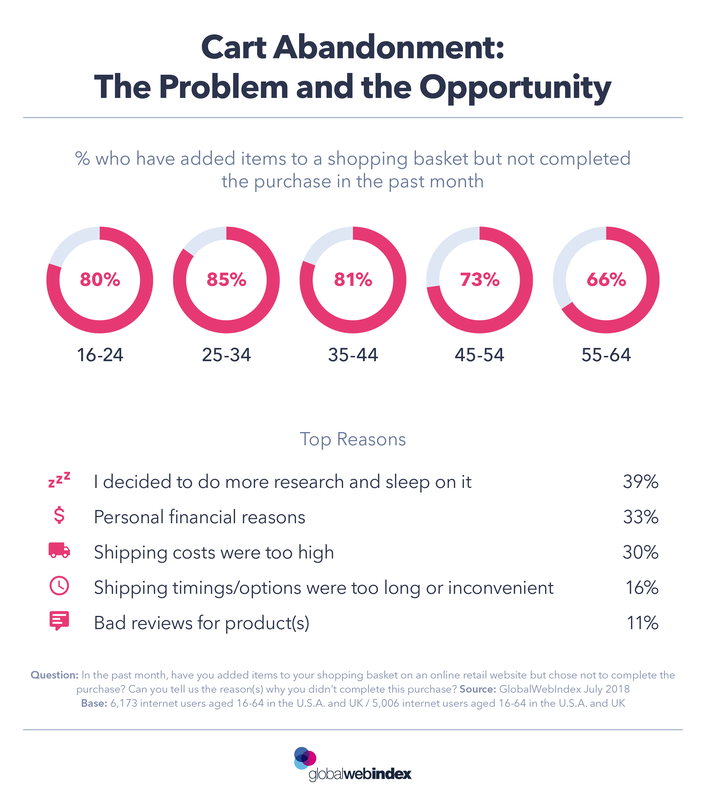 Three in 10 of those who abandoned a purchase did so because shipping was too expensive. 16% opted out because the shipping was too slow or inconvenient. Free delivery is clearly the major consumer preference, but if this isn’t feasible, there are other ways of ensuring that consumers don’t see delivery costs as a surprise barrier to completing a purchase. Transparency on any potential shipping costs early on is needed, so they’re not shown a shopping cart total that is more than expected. The majority of the respondents say discounts via email would motivate them to return and complete a purchase, but this tactic should be approached with caution. Beyond presenting problems with margins, follow-up emails with discounts may create an environment where consumers feel like leaving a checkout incomplete is a way of scoring a better deal. Most consumers are happy with the current user experience. One encouraging conclusion from our survey is that consumers don’t tend to abandon their carts because of technical glitches. Fewer than 1 in 10 say that they didn’t complete the purchase because the checkout wasn’t user-friendly, because of technical problems, or because their preferred payment was declined. This is true even among older age groups who are considered less tech-savvy than those who are younger. Technical issues remain a minority concern when we account for the devices consumers shop on. It’s still 1 in 10 who say they have abandoned a checkout because of technical problems, regardless of device. Mobile optimization for retail sites is clearly paying off and should remain top-of-mind. Time to think and personal finance are top reasons. The main reasons our respondents selected for why they abandoned a purchase were so they could sleep on it, or because of personal financial reasons. This means transparency about delivery costs and a user-friendly process can reduce cart abandonment, but this is only part of the picture. While some consumers abandon their carts for cost reasons, others leave their carts to continue researching. For these use cases, the shopping cart is actually used for other reasons than simply making a purchase. They’re using the shopping cart as more of a wish list or bookmark. Although retailers may offer their own wish list functions, our survey shows there’s an established behavior whereby consumers prefer to use the shopping cart instead. There are practical ways retailers can use this as an opportunity, the most direct one being to make sure that consumers can easily load their shopping baskets from earlier sessions. 13% said this would motivate them to complete a purchase. This can be successfully combined with other solutions, such as email prompts. However, only 4% say a text message prompt would motivate them to return to their shopping cart, so it’s important retailers aren’t too invasive when they message customers at this final stage. More expensive products require more time to consider. When it comes to sleeping on a buying decision, there’s an interesting disparity between devices. Buyers on mobile are less likely to sleep on it, which shows how small-screen devices lend themselves to buying on impulse. The propensity to leave a purchase in order to sleep on the decision scales up with the value of the product as well, with buyers of travel products being the most likely to want to sleep on their decision. In these product categories, keeping communication with the consumer open during this extra thinking stage, and making sure they can easily access a saved cart, is vital. Retailers spend a lot of time and effort keeping consumers engaged along the purchase journey from discovery to purchase, but there’s less discussion about consumers’ motivations at the final stage, despite the fact that so many purchases are left unfinished. It’s clear that consumers want thinking time at the point of purchase, and that the checkout stage is often used as an opportunity for more research. Free delivery or transparent delivery costs will stop some consumers dropping off, but this is only half the story. It’s crucial for retailers to make abandoned carts accessible for users whenever they log on, and they should keep in close contact with customers during or after this stage with offers, discounts or vouchers, so they can stay consistently top-of-mind. Got a question about our insights? Ask in the comments section below and get featured in next week’s chart.